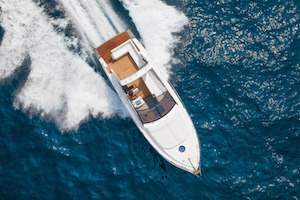 Two recent fatal watercraft accidents in the Fort Lauderdale area highlight the fact that boating for pleasure can be very hazardous. The driver of an idling Twin Vee and his passenger were killed when a much larger catamaran, allegedly moving at a speed in excess of 40 miles per hour, slammed into the back of the smaller boat. The occupants of both boats were friends and together had been heading to a bar on the Intracoastal Waterway. Only 3 days later, a fisherman and his 2 passengers reportedly were ejected from his boat in choppy waters when the craft was entangled in a mooring buoy and capsized just south of the entrance to Port Everglades. The driver and a passenger died while the other passenger was rescued. It is unclear at this time whether any of the occupants were wearing a life jacket. Both accidents are under investigation. According to the Florida Fish and Wildlife Conservation Commission (FWC), Florida leads the nation in the number of boating accidents each year. That's not surprising, as our state has the most registered vessels in the country and is second only to Alaska as the state with the most coastline. Unfortunately, we also lead in the number of fatal boating accidents: 56 in 2016 resulting in 67 deaths. FWC reports show that a whopping 82% of those killed in boating accidents were not wearing personal flotation devices - and the primary cause of death in these accidents is drowning. Operating a vessel while under the influence of alcohol or drugs is also a big problem. 16 of those who died - 24% of total fatalities - were in accidents in which alcohol or drug use may have been a contributing factor. Always wear a life jacket. By Florida law, all Florida boats must carry a Coast Guard approved, wearable life jacket for each person on board. Designate a driver who drinks no alcohol. The same DUI law applies to boats as motor vehicles - it's illegal to operate a boat with a BAC of .08 or higher, and the threshold is even lower for drivers under age 21. Be prepared by knowing the waterways as well as predicted weather conditions. Get the proper training. Florida law requires that boaters born on or after January 1, 1988 and who operate a boat of 10 horsepower or more obtain a Boating Safety Education Identification by completing an approved boating safety course. Learn more about boating safety from the U.S. Coast Guard. Read about boating regulations, approved boating courses and the importance of wearing life jackets from the FWC. If you or a family member has been injured in a boating accident or any other type of vehicle accident, or any type of personal injury, please contact the Law Offices of Diana Santa Maria, P.A. immediately. Our experienced attorneys will fight for the compensation you deserve. Please call us for a free consultation. Attorneys Diana Santa Maria and Laura D. Dolin, personal injury attorneys in Fort Lauderdale, will fight to secure justice for you and your family. You can reach us at (954) 434-1077 or contact us via the website.